This is `no` command that outputs `n` implemented in Elixir. 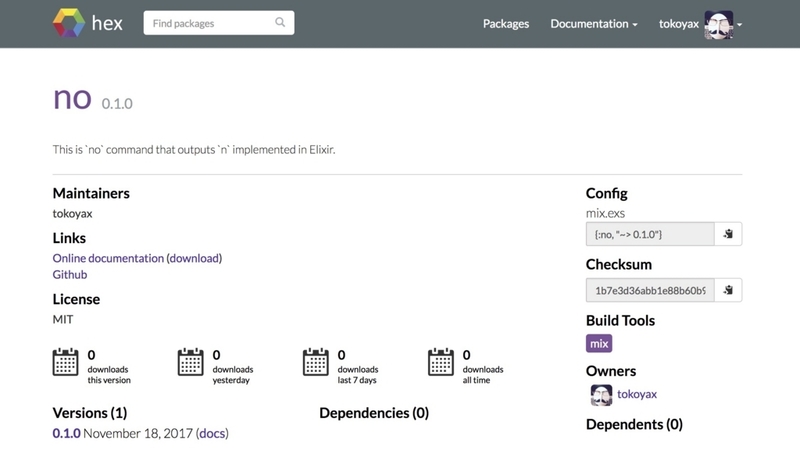 Description: This is `no` command that outputs `n` implemented in Elixir. ** (Mix) The task "docs" could not be found. Did you mean "do"? # Run "mix help deps" to learn about dependencies. the dependency is not available, run "mix deps.get"
If an argument is provided, it should be a local path or a URL to a prebuilt escript, a Git repository, a GitHub repository, or a Hex package.